This weekend I finally sat down and made an editorial calendar to help me post more regularly. In the beginning of the process I wrote down each topic I like to explore on JTMG. 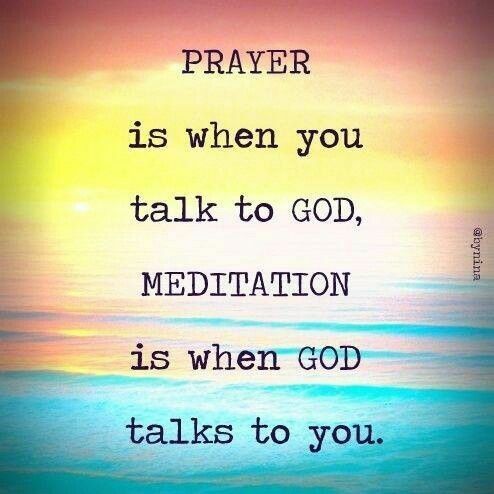 When I got to the Mediation topic I toyed with the idea of changing the name to Prayer or Mediation and Prayer because I wondered, would some see Mediation as “not Christian.” After remembering that this is my blog, my forum, I can do as I wish, I decided to leave it. Truth is, however, a lot Christians see mediation as a non-Christian activity. I have even heard some Christians say that Christians shouldn’t do yoga because is based in the Hindu religion. Rubbish. Then Psalm 46:10 came to mind, Be still and know that I am God. Be still. Be still, not only in the body but also in the mind. For me, meditation quiets my mind, which is very hard for me, an introvert to do, by focusing my attention in this on God so I am better aligned with His will, to know Him better and to reflect upon His goodness. For beginners, meditation can be a little ackward. I remember the first time I was introduced to meditation. I was in college and my theology professor who was a devout Catholic practiced a form of Hindu meditation. I don’t remember what form she practiced. She took the class to the meditation room, she told us to sit down on the pillow, legs crossed, close our eyes and try to quiet our minds. Ahhhh, okay. Don’t know how to do that, but alright. There we were, on the floor legs crossed sitting on a pillow, with our eyes closed and minds racing. Every once in awhile I’ll open one eye and catch someone doing the same thing. One person would giggle, then another, then another before I knew it the entire class was laughing, even our professor. She went on to explain that it’s really hard to quiet the mind, for one outside forces, traffic outside, the clock on the wall even your own breathing, will compete for your attention, instead, try focusing your mind on one thing. Secondly, it takes much practice and discipline to get to the point where you can actually quiet the mind. I meditate in the early morning hours. The house is still quiet and the kids are still in bed. It’s easier for me to focus my mind. I read my bible passage for the day, then I sit in my quiet spot and think on the passage I just read. Sometimes my mind wander and I let it. When I realize my thoughts wandered off I refocus on the passage. Or some mornings I just think on God’s goodness and his majesty. I do this for twenty minutes or so then I go about my day. I don’t do this everyday, although I want to, but on the days that I do meditate, I find myself more centered and grounded. I can hear God easier because I opened my spirit up to Him. I tend to see thing more clearer when I meditate. Are you thinking of starting a meditation routine? Do you have tips on meditation methods. I would love to hear from you. May God be with you until we again.